The small community of Harvey Cedars is located on the northern half of Long Beach Island in Ocean County. Though the year round population of this township is very small, it becomes enormously inflated during the summer months when tourists from all over the tri-state area come to enjoy the beaches in this beautiful shore community. During the summer season the Harvey Cedars Police Department writes the majority of the criminal, DWI and traffic charges processed annually by the Harvey Cedars Municipal Court as well as the indictable offenses referred to the Ocean County Superior Court. 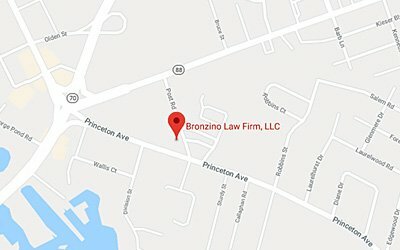 The Bronzino Law Firm LLC , understands that entering any municipal court proceeding can be intimidating and confusing. We understand that the sensitive issues addressed in municipal court are often personal and impactful for individuals as well as their families. Our team prides itself on working closely with all our clients throughout the legal process to deliver highly personalized and effective legal solutions. We work aggressively and tirelessly to defend your rights and needs in court. Harvey Cedars Municipal Court resides at 7606 Long Beach Boulevard, Harvey Cedars New Jersey 08008. The municipal court judge is Honorable Stacey Kerr. The Court Administrator is Lauren Sassano, CMCA. The court can be reached by phone at (609) 494-9026. Arraignments, trials and other proceedings take place in a session conducted on the second Monday of the month starting at 3:30 p.m. The Harvey Cedars Police Department is located at 7606 Long Beach Blvd, Harvey Cedars, NJ 08008 and can be reached by phone at (609) 361-6000 . The Harvey Cedars Municipal Court mostly handles disorderly persons offenses, petty disorderly persons offenses, municipal ordinance violations, and traffic violations. 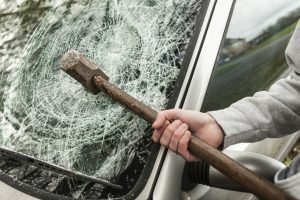 In addition, the court handles crimes such as DWI, Driving While Suspended, Driving Without Insurance, Possession of Marijuana, Shoplifting, Disorderly Conduct, Underage Drinking, Possession of Alcohol Underage, False Identification, Simple Assault, Harassment, Terroristic Threats, Domestic Violence, Bad Checks, Trespassing, Criminal Mischief, Cruelty to Animals, Theft of Utilities and other disorderly persons offenses. The majority of criminal offenses heard in the municipal court revolve around incidents common to tourist activities and consist mostly of disorderly persons charges. These may include violations like possession of 50 grams or less of marijuana, shoplifting, harassment, obstructing the administration of law, underage drinking, and drug paraphernalia charges to name but a few. Although these are not felony crimes, they can however result in a criminal record and the possibility of up to six months in jail if you are convicted. Any Municipal court proceeding can often be very serious and bring with them life changing consequences. 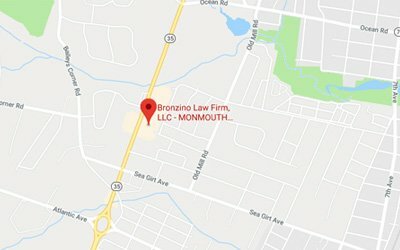 The Bronzino Law Firm LLC understands that the issues in municipal court can greatly impact individuals, their jobs, their children, as well as the rest of their family. That is why our attorneys work very closely with our clients throughout the legal process to deliver personalized and very effective legal solutions. Our extensive experience makes us the partner you need when facing any municipal court proceeding in Harvey Cedars.